Dustin Lewis is a student at Florida State University who is majoring in Editing, Writing, and Media. Sports were always his passion growing up and that has led Lewis to continue his love for sports in a way that he can share that passion with others. He played football at Florida High before his graduation in 2013. Lewis got his AA at TCC before transferring to finish his bachelor's degree at FSU. 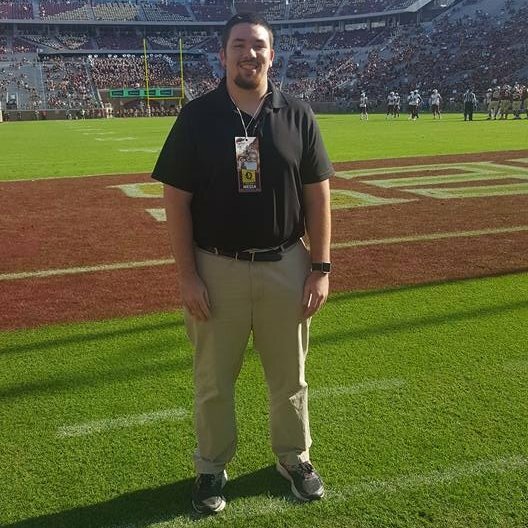 He's currently the lead writer for NoleGameday and is on the staff at the FSView and Florida Flambeau. Lewis has previously written for Celtics Hub, Hashtag Basketball, and The Pewter Plank, among others. The purpose of this digital portfolio is to appeal to fans of sports with high-level and accurate content. It also was built to attract potential employers who are looking for sports writers.